Johnson and Sangeeta live in Vasai, Mumbai with their 3 children. Johnson goes fishing on a rented boat and is away from home for almost 15 days at a stretch. Sangeeta sells fish and is away from home all day. In their absence, their 16-year-old daughter, Sara had become the parent for Shaul and 12-year-old Paul. 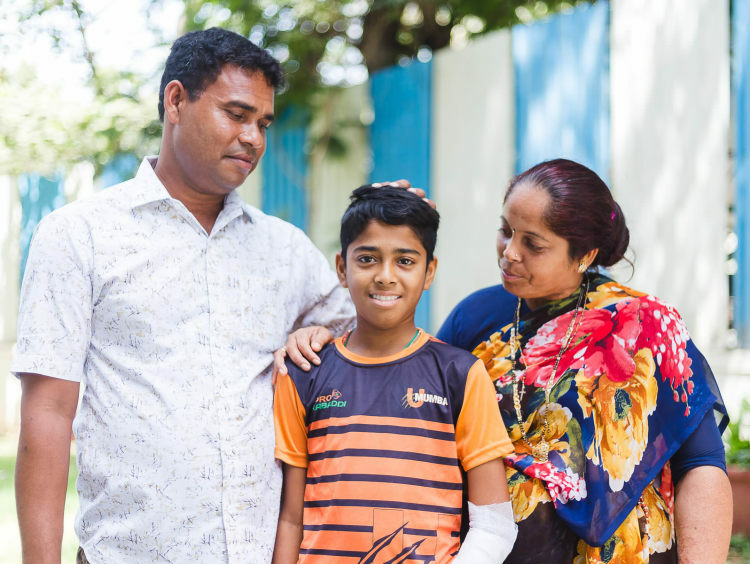 Even when they are not home, Johnson and Sangeeta never had to worry for their children. The siblings took care of each other well. Only 15 days ago, when Shaul completed his daily cricket dose, he complained of unbearable chest pain. The parents thought he must have been hit by a cricket ball. Despite their reluctance, Shaul’s painful cries forced them to take him to the doctors. 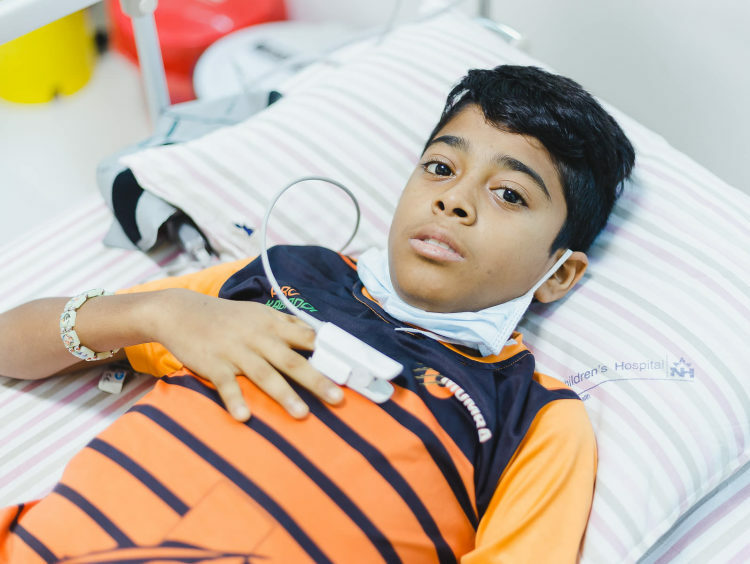 “Neither the X-ray nor the CT scan could tell us what was causing my son so much pain. We just brought him to a better doctor to ensure everything is fine. I knew something was not fine when they told us he had to be admitted to the hospital. But blood tests were scarier than my worst nightmare. He has Ph+ acute lymphoblastic leukemia. It is a rare form of blood cancer but if caught early, it can be cured." Medicines could keep the chest pain at bay only for an hour, and then he would again be in the insufferable pain. Shaul’s hemoglobin level had dropped so much that he felt very dizzy. It is very risky to even let him use the washroom alone during such times. Either of his parents has to accompany him. 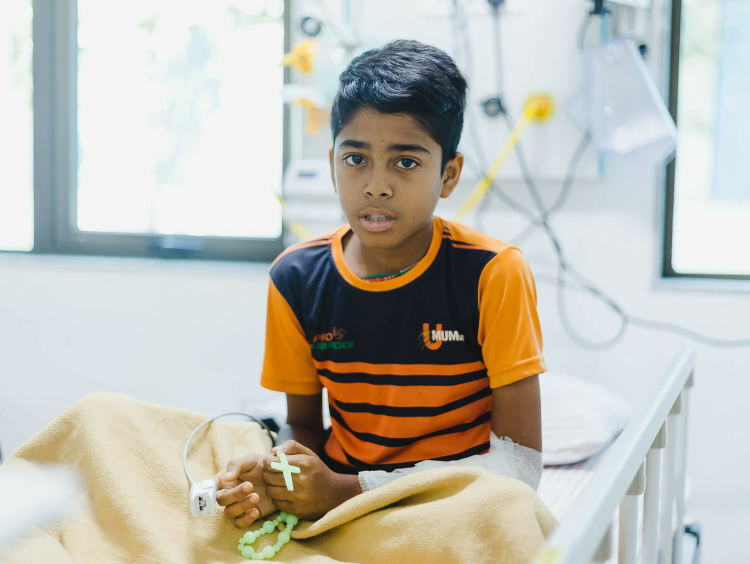 “When Shaul was admitted for 15 days, we had no money to pay the sky-high bill of Rs 1.3 lakhs. I am really grateful to the hospital for letting me go back and arrange the money. I have begged from every villager and relatives because I needed the money in 3 days. It has become my nightmare and keeps haunting." 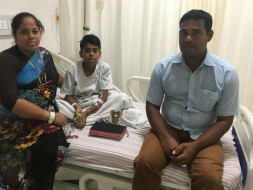 Johnson and Sangeeta have to sit in the hospital corridors all day because if they go back home they have no money to come back. Both the parents can’t go to work because they have to stay in the hospital. Shaul is undergoing chemotherapy and the parents are running out of money. They even skip meals to save each rupee that might help the treatment. "We have already spent Rs 1.5 lakhs so far in less than a month. I don't even earn that much in a year. Even my village people have run out of money while helping me. I can't even go back and ask for help. The medicines and chemotherapy are unaffordable, and all other options for financial assistance take time. I don't want to pause treatment or take him to some other hospital now because I believe this is the best place for him to get cured. All I need is some help." The teenager Shaul, has been forced to give up everything he loved to do just to stay alive. 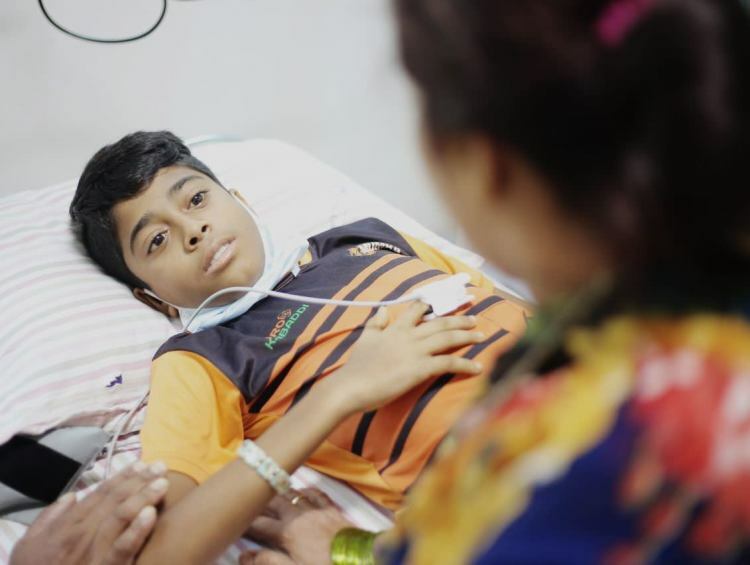 The poor parents want to save their son at any cost. 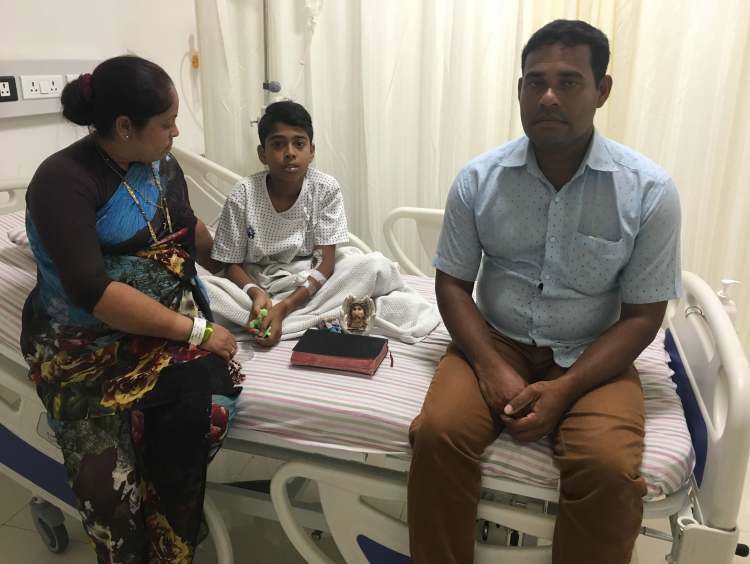 But the cost required to save him is Rs 20 lakhs. 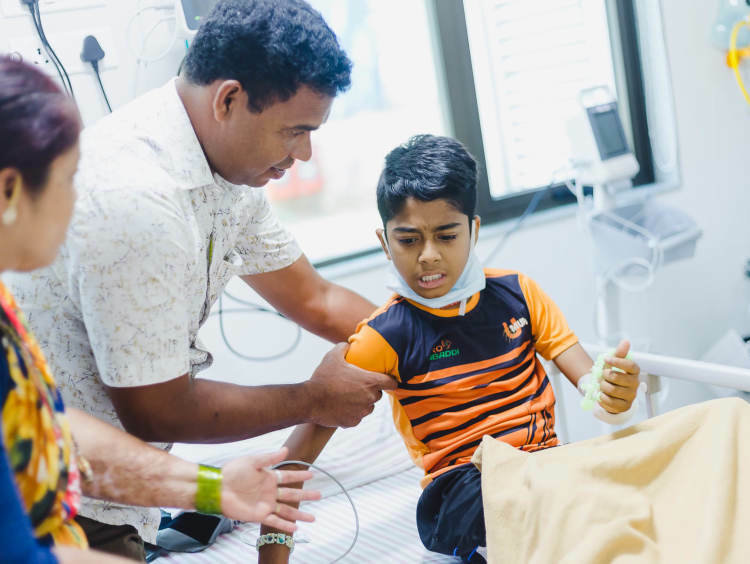 Your support will help Shaul study and play cricket again. Patient is still under treatment in the hospital. Patient is doing well and is responding well to the treatment. We shall keep you posted. Shaul has been moving further in therapy and tolerating it well. He has had a few difficult times but has recovered well from them. We all look forward to him moving on to he less intensive treatment phase now. His treatment response has been very satisfactory. Shaul has been moving forward through scheduled chemotherapy cycles with 2 admissions to the intensive care unit during this period. His course has included a switch to an expensive medication due to allergic reaction to the cheaper version of the same ( L-Asparginase being the cheaper medication, Peg-Asparginase being the expensive alternative). 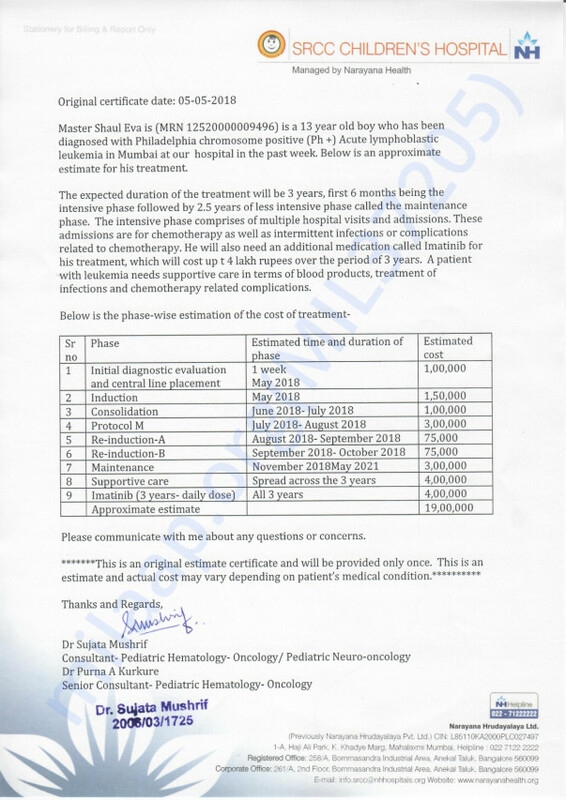 He has needed multiple blood products as expected during such intensive chemotherapy ( platelets and packed red cell transfusion as supportive care). Least to say his shinning white teethy smile is the brightest when he gets discharged home and he also managed to get home to witness the tenth day visarjan function of his community Ganesh idol. 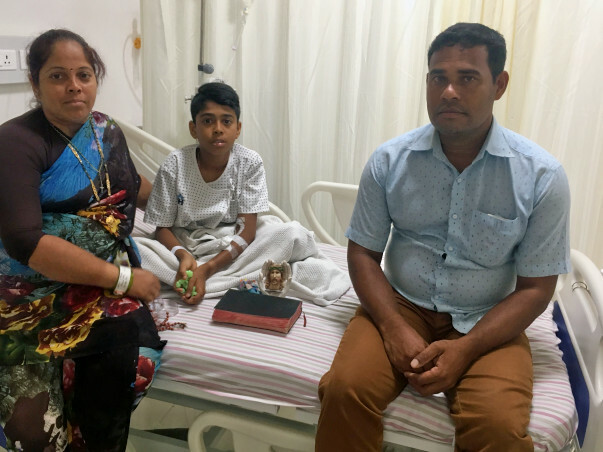 Parents are ever so grateful to you all for your generous contribution and giving him a fair chance at being cured. They are always on time for their appointments and follow our instructions very well and contribute greatly in getting him better.